The Minions are here -- Dave, Carl and Tim! 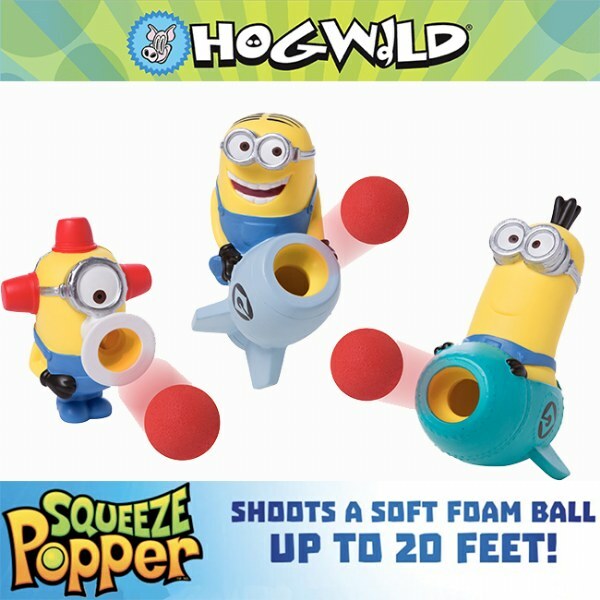 Despicable Me Minion Squeeze Popper are cuddly stuffed Minion characters that blast foam balls. Each popper comes with six squishy foam balls that you can load one at a time. Then give it a squeeze to launch the balls up to 20 feet. The harder you squeeze them-which you&apos;ll want to because they are so hugable-the farther the balls will fly. Officially licensed and each includes six foam balls.